Bart Decrem, senior vice president and general manager of Disney Mobile says that the House of Mouse is planning on developing ten new games this year. Decrem says that the games will be another way to bring Disney characters to life, and create new ones. Disney went against its traditional MO when it created Where's my Water? it was the first mobile game from the entertainment giant that featured a new character built from scratch. 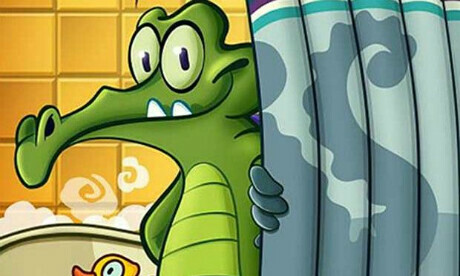 Swampy the alligator is the hero of the game and he has gone from mobile devices to other Disney platforms rather than the other way around, which is the company's usual method. Disney is just starting to get a presence in China and Swampy is one of the characters that is being used to gain traction in the country, according to the Disney executive. Decrem joined Mickey back in July 2010 when the company purchased his app start-up Tapulous. Decrem had already had his claim to fame with the Tap Tap Revenge game which goes all the way back to pre-App Store days when the game had to be loaded on a jailbroken Apple iPhone. It also was one of the first Android Market games to offer in-app purchasing. He says that Where's my Water? is being heavily promoted by Disney, which is one of the reasons he sold his company. Giving out t-shirts and producing documentaries on the Disney Channel are things he couldn't do as a little start-up. The game is available as both a free and paid app and received some attention when it was the 25 billionth app to be downloaded from the Apple App Store. When Tapulous started, Decrem told his crew that Tap Tap Revenge would hit 1 million users in 18 months. It actually reached that mark in 20 days and the executive says that Where's my Water? is running exponentially bigger and faster than his earlier hit. The latter game was developed by 5-6 people in 6 months and his department has complete control over the Swampy character including the ability to approve marketing and merchandise. Decrem wants to run his division like a small start up to develop games, and then use the marketing clout of Disney to promote the titles. The Disney VP says that somebody will build a game that reaches 1 billion people, but Rovio is almost there. 700,000,000 people have downloaded Angry Birds and Rovio has said that its goal is to be the next Disney. Who is to say that the Birds can't be as popular as Mickey, Donald and Goofy. Rovio's Angry Birds can be seen on t-shirts, bedding, school supplies and more and they have a global presence. All Rovio needs is a few more big hits with new characters to promote. 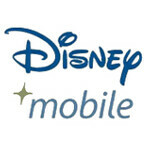 While that is daunting enough of a task for them, they now have to compete with an up and coming Disney Mobile that seems to be re-energized and serious about adding mobile apps to the other areas of the media where Mickey dominates.